It is an easily imaginable scenario. A parent or grandparent is out of town, so one of the kids takes the car out for a ride. The parents, trying to teach the kids a lesson, decide to call the cops and report that their kid has taken their car without their permission. Whereas many parents may expect their kids to get a stern talking to, instead a scenario like this can end in felony charges of theft from a motor vehicle, and misdemeanor charges of unauthorized use levied against their kids. The parents say to drop the charges, but unfortunately its out of their hands. The prosecuting attorney may not want to drop the charges depending on the person’s being charged history and the scenario under which this all occurred. If something like this happens to you, it’s important to remember a few things. First, its up to the Commonwealth on whether to pursue criminal charges against a person. It’s a common misconception that individual victims have the ability to press or drop charges. Instead, once a crime has been reported, the discretion is fully within the District Attorney’s office of whether to pursue criminal charges or not, regardless of whether they are desired by the victim. Also, theft of a motor vehicle and unauthorized use vary on one important element, and that is whether the person who took the car intended to return it or not. In the case of your standard joy ride or trip to see their friends, the intent to keep the car permanently probably does not exist, and the unauthorized use of a motor vehicle statute is probably the most suitable charge for this case. In cases like these, its all about testimony, and how the case is presented to the prosecuting attorney and judge. To those with a significant prior history of misconduct, the district attorney’s office may ultimately end up pursuing serious felony charges for significant punishment or jail time. That’s why its important that you have an attorney who understands your side of the story, and can present your side effectively in a court of law and in negotiations with the Commonwealth. Attorney Frank Walker has the experience to help in your time of need. With Attorney Walker at your side, you can get the charges significantly reduced, and potentially ultimately dismissed. When things get serious, you need a serious attorney. Call Frank Walker today. Attorney Frank Walker of Frank Walker Law is a National Top 100 Criminal Defense Lawyer and Personal Injury Attorney with offices in Pittsburgh Pennsylvania and Morgantown West Virginia. Attorney Walker is also a member of the National College for DUI Defense, Super Lawyer and qualified as a Pennsylvania Death Penalty Defense Attorney. Everyone has money troubles from time to time. Between writing checks for rent, the utilities, and debt payments, it is easy to slip up and write a check that won’t be honored. For other people, a strained financial situations can lead people who are broke to write checks that they know they don’t have the money to pay. The unfortunate people in the latter camp may find themselves charged with a violation of section 4105 of the crimes code, known as Bad Checks. A person is guilty of a charge of bad checks when they issue a check knowing that it will not be honored by the drawee. Since there’s rarely an issue that a check was indeed signed by the offender, or that the person cashing it didn’t receive the money upon attempting to cash it, the case often boils down to one thing: did the person who wrote the check, know that when they wrote it they did not have the money to honor it. Due to the difficulty in proving state of mind, there are presumptions written into the statute, in which it is presumed that someone knew they were passing a bad check, when either 1. they had no account with the bank they issued the check from; or 2. notice was given to the person passing the check within 30 days that payment was refused due to lack of funds, and that within 10 days of that notice the issuer fails to pay up. The seriousness of the charge of bad checks may range from a simple summary offense up to a felony depending on the amount of the check. No matter the grading though, a bad checks charge can be a black mark on your criminal record and may interfere with future professional opportunities. The driving motive in bad checks cases for the Commonwealth is not just to punish those who write bad checks, but to make sure the victim receives the money they were due. To that effect, many prosecutors are open to alternative arrangements to make the victim whole while avoiding or minimizing serious long term effects to the offender’s professional livelihood. If you or a loved one is charged with the offense of bad checks, it is important for you to retain an experienced criminal defense attorney who can work on your behalf to resolve the situation and make sure your livelihood is protected. Even if money is tight, you can not afford not to have Attorney Frank Walker as your attorney when you fight these charges. Sometimes a night of drinking can go a little too far, and get a little too loud and unruly. Once cops become involved, criminal charges can be quick to follow. Two of the most common, and misunderstood, charges levied in these situations are charges of Public Drunkenness and Disorderly Conduct. Public drunkenness requires that a person be manifestly under the influence of alcohol. 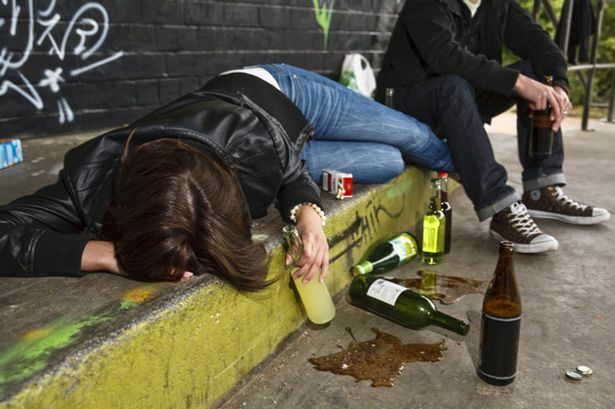 The public drunkenness statute also applies to intoxication caused by controlled substances. However, this statute is not intended to outlaw having a few drinks and walking home. Just having alcohol on your breath or a slight stagger in your gait should not be enough to end with criminal charges. On the other hand, being loud and falling down drunk on a city sidewalk is most likely going to end with a public drunkenness charge. Charges of public drunkenness often go hand in hand with disorderly conduct charges. However, there are significant differences. The first and most obvious, is that a disorderly conduct charge has no requirement of intoxication. The disorderly conduct charge requires that the offender cause or intend to cause substantial harm or serious inconvenience. This can be accomplished by disturbing the peace through the screaming of loud obscenities or reckless conduct that causes a serious obstruction to the public. Just drinking or being loud aren’t in and of themselves crimes worthy of punishment. However, under the wrong circumstances, you may find yourself facing one of these widely used, and some would say overused, charges. The burden is on the Commonwealth to prove the elements of these charges. Merely being present on the scene, or having a few drinks, or being in a disagreement with someone, is not enough to sustain a legitimate conviction. However, as the saying goes, you can beat the rap but you can’t beat the ride. Meaning that although you may ultimately prevail in a court of law, certain behaviors may still land you in cuffs awaiting a summary trial hearing or a preliminary hearing. However, just because you’ve been charged with an offense, doesn’t mean you’re guilty. Handled the wrong way, a charge for public drunkenness or disorderly conduct may interfere with your work life and end up on background checks for years to come. If you are facing charges of public drunkenness or disorderly conduct after a night out, don’t just plead guilty! Retain Attorney Frank Walker today! With the help of Frank Walker Law, you can potentially get the charges dismissed or reach alternative agreements in lieu of a conviction. And if you’ve been convicted of a public drunkenness or disorderly conduct charge, Attorney Walker can help get the charges expunged and your record wiped clean. When you watch shows like Chicago Fire or Rescue Me, it is easy to get the impression that the offense of Arson is only committed by sociopathic firebugs who are in love with fire, or failing businessmen attempting to commit insurance fraud. However, the perpetrators of arson may also come from the ranks of mischievous teens setting a fire in a dumpster, or negligent brush and trash burners who fail to take the necessary precautions when setting a fire and don’t report it promptly. Regardless of who the offender is, arson is a serious criminal charge. 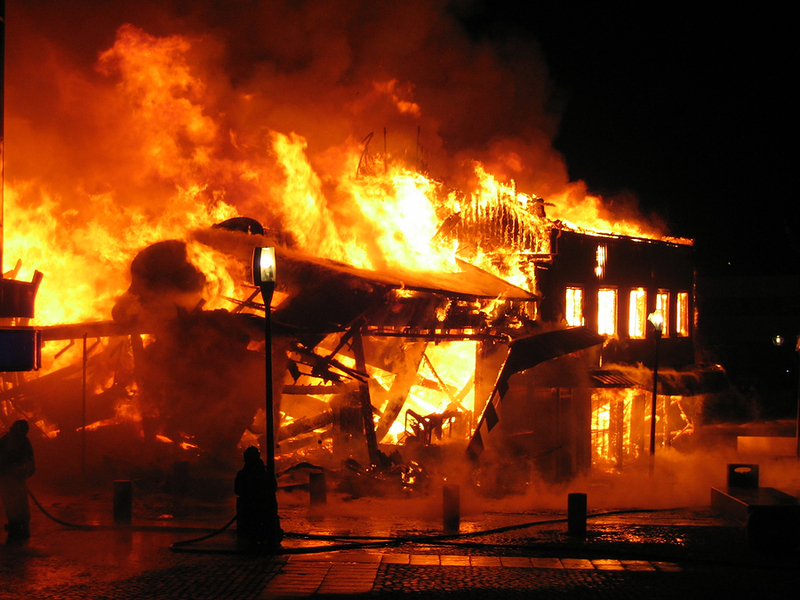 Arson in Pennsylvania is divided into seven separate subsections under Section 3301 of the Crimes Code. Those categories are arson endangering persons, arson endangering property, arson, reckless burning or exploding, failure to control or report dangerous fires, and possession of explosive or incendiary materials or devices. These statutes cover everything ranging from the classic scenario where an offender burns someone’s house or business down, to the uncontrolled burning of brush. In order to prove a person guilty of arson, the Commonwealth must show that there was a fire, the fire was set intentionally, and that the defendant is responsible. Unfortunately for many offenders, the fact that the fire was not intended to spread beyond a limited area is not necessarily fully exculpatory in an arson case. Also, in cases where the fire is intentionally set to endanger a person or property, a person can be convicted of dangerous burning even if no damage to a person or property actually occurs. The repercussions and severity of arson charges can vary significantly depending on the circumstances, the intent of the offender, the property burned, and the people potentially put in danger by the fire. A charge of dangerous burning, for example, may just be a summary offense. However, in the case of a fire that potentially kills people, you can be looking at murder related arson charges and a full spectrum of arson related felonies. What subsection an offender ultimately ends up convicted of is heavily dependent on the facts surrounding the fire, and their interpretation in a court of law. Due to the severe and varying penalties surrounding charges of arson, it is important that anyone facing these charges retain an experienced criminal defense attorney who can fight on their behalf. When the heat is on, Attorney Frank Walker can fight to get the charges dismissed or reduced, and prepare you with a strong defense going forward. Don’t get burnt by facing court without an attorney. Call Walker Law today.